As it turns out this wasn't the General Election that was dominated by social media. I'm aware that most of the voices saying it was traditional media that was most effective in the 2010 campaign are voices from the traditional media camp fighting for a much needed "told you so" but I do admit there wasn't as much volume in social media as I expected. It certainly wasn't the Mumsnet election, either. It may turn out, however, to be the social media hung parliament. 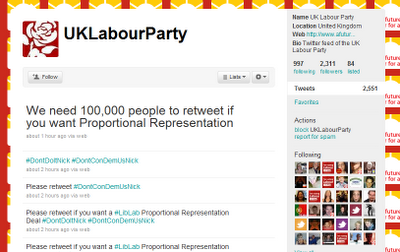 Right now, there's a growing volume of tweets asking (begging) for a Labour and Liberal Democrat coalition. 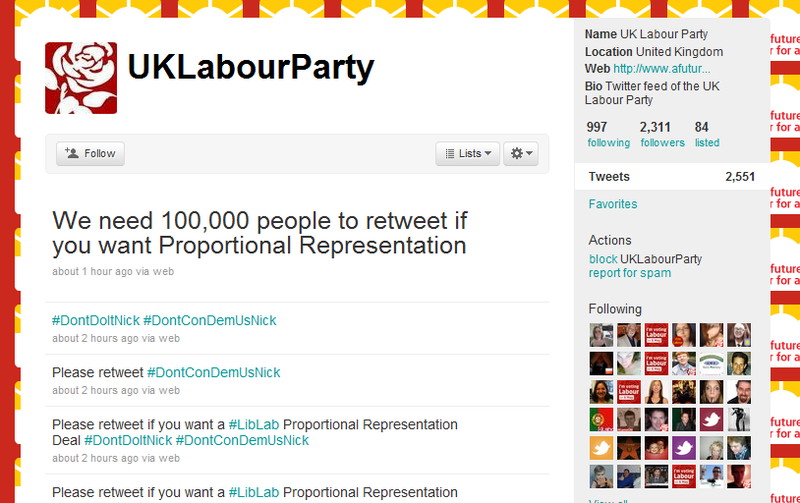 They're trying to whisk up a large number of retweets. The catch? 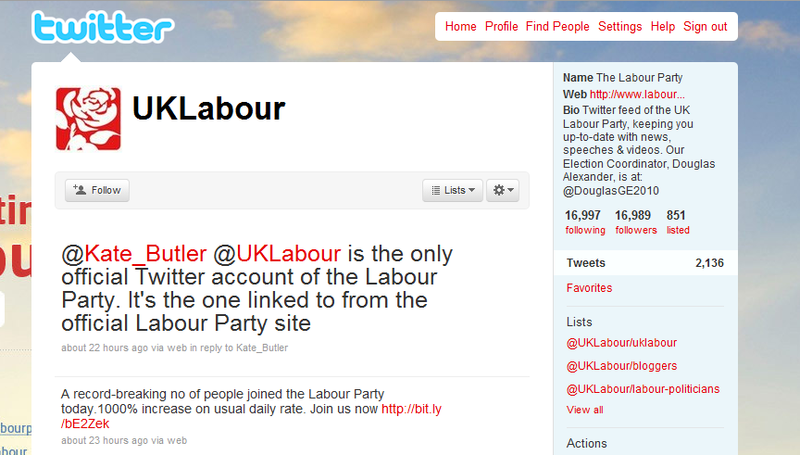 These tweets were not started by the official Labour Party Twitter account. 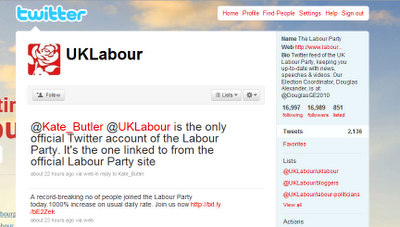 The official account doesn't have a Verified Badge (it would have been good of both Twitter and the UK parties to have got that right) but the official Labour website makes it easier to find which Twitter account is legit. Mind you; that's a heck of a lot of work. There might be something to be said for marking "verified" in Twitter's new and native retweet functionality.